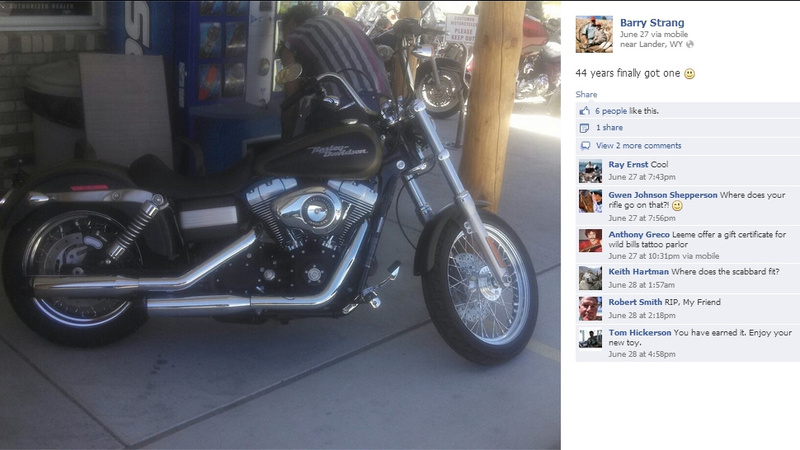 Barry Strang was from Casper, Wyoming, and for the last 38 years, he begged his wife to “allow” him to buy a Harley. Well, at 59 years of age, Barry got his wish. And once again, his wife was proven right. Read the story here. This entry was posted on July 17, 2013 at 11:41 am and is filed under General Interest. You can follow any responses to this entry through the RSS 2.0 feed. You can leave a response, or trackback from your own site.